i) The working group shall develop a questionnaire taking into consideration previous discussions and work on this topic, to seek information on the trade in orchid parts and derivatives (wild and artificially propagated) in consideration of the potential conservation impact of exempting orchid products from CITES controls. A) The questionnaire should invite Parties to provide available information on: the trade in orchid products from source to final product, including the identification of the major industry sectors involved in the trade; how NDFs are made; traceability along the trade chain; and trade reporting. It should also request information on orchid parts and derivatives used in products, sectors involved (cosmetics, nutritional supplements, traditional medicine, foodstuffs – in particular flours -etc. 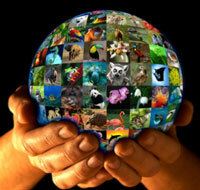 ), and conservation concerns for wild populations. B) The questionnaire should be transmitted to the Parties via a Notification and should emphasize the importance of responses from range States, with a sufficient deadline for responding. ii) Subject to the availability of funding, the working group may also consider actions to enable a full analysis of the potential conservation impact of orchid exemptions. These may include developing case studies on key orchid species identified in trade as finished products, including the 39 species identified in the Annex of document PC22 Doc. 22.1, as well as the two cases of orchid foodstuffs outlined in PC22 Inf. 6, workshop(s), or a study on trade data sources. iii) Based on the information obtained from Parties in their responses to the questionnaire, as well as other information from the potential actions identified above, and other appropriate sources, the working group shall analyse the risks of trade in orchid products to conservation and provide its conclusions about such risks. Based on the findings and the analyses, the working group shall review the current annotation for Appendix II-listed orchids, and suggest such amendments as it considers appropriate, if any. iv) The working group shall also consider and highlight the knowledge gaps of the orchid species in trade, i.e., consider identification, nomenclature and distributional information gaps where these are found to exist, and highlight these to the wider orchid research community and traders during trade events and forthcoming international meetings and workshops. v) The working group will conduct its work via electronic means. c) report its findings and recommendations to the Standing Committee for its consideration. The Standing Committee shall consider the findings and recommendations of the Plants Committee together with the results of its working group on annotations, and provide the results of the work and its recommendations to the 18th meeting of the Conference of the Parties.